Your PTLL is the property of Coventry City Council. We, or participating organisations, reserve the right to confiscate or withdraw the card without prior notice, if it is considered to have been misused or misrepresented. You should also be prepared to show further proof of identity if requested. The data controller is Coventry City Council. 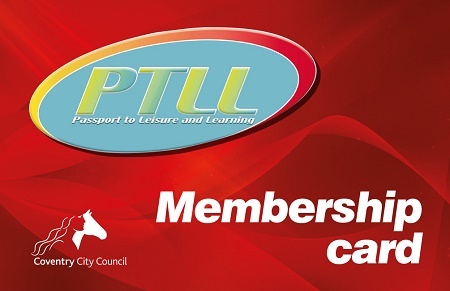 We are required to inform you that your application information is retained electronically and may be used to contact you regarding your PTLL card or other communication from Coventry City Council and partner organisations. There may be limited PTLL places at certain centres and with certain providers, therefore some activities may not be available at PTLL prices. Previous Where can I use the Passport to Leisure card?